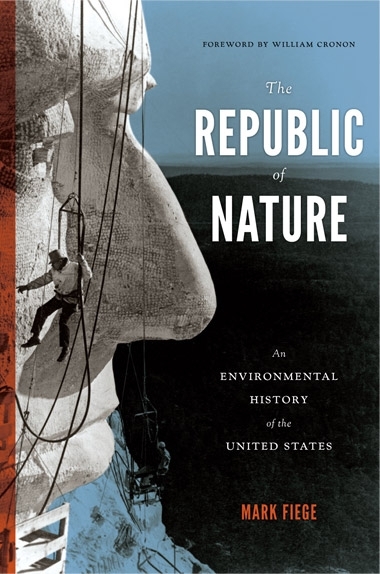 Today’s post is the second of a two-part interview with Mark Fiege (pronounced FEE-gee, rhymes with BeeGee), who has just published The Republic of Nature: An Environmental History of the United States (Seattle: University of Washington Press, 2012). Mark is a colleague of mine at Baa Ram U., and his book delivers what its sweeping subtitle suggests–a striking reinterpretation of American history as environmental history, with chapters that span the seventeenth through the twentieth centuries. Part I of our conversation is here, if you missed it. Mark saddled up and rode out East yesterday for the start of his national book tour–see here if he’s coming to a middle-western or eastern town near you this spring. His book will be the subject of a special session next month at the annual meeting of the Organization for American Historians in Milwaukee on Friday, April 20 at 1:30 p.m. Be there, and you just might get an opportunity to meet Mark and his fellow panelists, Linda Gordon, Mary Beth Norton, Eric Foner, and William Cronon. Yes, that’s where Mark’s career is heading, friends–we’ll be lucky to keep him down on the high plains desert from now on. Historiann: I love the point that “nature” and “the natural” are inherently ideological constructs—just as are classic concepts for organizing American history like “liberty,” “republicanism,” and “democracy.” Yet historians of the past several generations have been much more interested in organizing their lectures and books on the sweep of U.S. history around those contested political terms because of their flexibility. Americans as different as Jefferson, DuBois, Alice Paul, and Antonin Scalia, for example, have had very different interpretations of these big ideas. 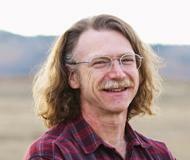 Your book shows how nature can be an organizing principle of American history, too. I want to press you further on your definition of environmental history. Since you are advancing an expansive view of what constitutes environmental history, where I wonder do you draw the line between environmental history and everything else? Is there any subject or methodology you would categorically exclude, or is your habit of mind now inclined to look for an environmental hsitory angle in everything? Mark Fiege: A recent book that I deeply admire and that speaks to all of these issues in particular ways is Susan Klepp’s Revolutionary Conceptions, some of the insights of which I incorporated into The Republic of Nature. As an environmental historian, I like the book because Klepp takes seriously the relationships among biological processes, culture, and power in explaining the causes and consequences of the decline in fertility during the American Revolution. Her claim that “procreation is power” is marvelous and expresses precisely what environmental historians are trying to do, which is to explain that complex, interacting combination of human and non-human material factors that drive history. Yet I have not met one environmental historian who has read this book, and that concerns me because I think we may be missing an opportunity to learn from a remarkable scholar whose work sits on the same intellectual margin that we pride ourselves on occupying. Conception, birth, menstruation, and all else associated with fertility are related parts of the bloody, rich mulch of life and are no less worthy subjects of environmental historical analysis because they don’t fit some conventional definition of the field. Klepp probably doesn’t see her work as environmental history, nor does she frame the history of fertility quite the same as an environmental historian probably would. She refers to contraceptives and abortifacients, for example, as “technologies,” even though some of those substances and the plants from which women drew them had material properties and histories that cannot be contained completely in the category of “technology.” Regardless, this is a very cool book and one that I think points the way to a more holistic history that ought to appeal to an extremely broad array of scholars, students, and citizens. I’m not sure if it matters intellectually what we call this kind of endeavor. I want to learn from scholars such as Klepp. I also want to learn from scholars such as the political theorist Timothy Mitchell, who takes environmental history seriously and who says that material things have “political properties” that offer people opportunities to exercise “socio-technical agency.” Ultimately, I think we’re trying to understand the inextricable combination of ideas, social relationships, material properties, and physical connections that change over time and that explain the human predicament in its fullness. I’m glad you think so highly of Klepp’s book! I think you’re right that in the corner of history she and I work in there are lots of intersections between your field and our field. It’s amazing to think that academic historians have managed largely to avoid grappling with the materiality of history. Public historians working with material culture and the built environment have been so far ahead of the academic historians in so many ways. Here’s hoping that The Republic of Nature will become a tremendous resource to all historians. Good luck on your book tour, and at your special session of the Organization for American Historians next month! Thanks very much for the opportunity to reflect on environmental history and the connections between our fields! 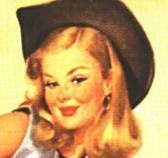 I look forward to seeing you in Milwaukee at the OAH! The “where do you draw the line” question is an interesting and important and essential one, and–just coincidentally–mirrors some of the questions that have been coming down from both sides of an obviously divided Supreme Court in the last couple of days around issues like “what would the commerce clause NOT extend to include or cover.” By (human) nature we like to elide these sorts of structural or practitionary inconveniences, and most such conceptual scholarly lines are drawn in fairly dry sand on beaches filled with frenetically scurrying practitioners carrying sand pails and netbooks. Yet the effective dying out or at least the gradual weakening of some interpretive organizing principles (c.f. republicanism) may possibly be related to the presumption that there’s one version of them for every category of human behavior. When 2002 rolled around and there wasn’t another decadal update by Robert Shallhope on “Republicanism” I assumed it was like a Mars Rover or Neptune Orbiter finally going cold. I’m going to have to chew on the idea that material things have political properties… I’ve always been interested in material things (hard to keep the old marxist down) but not necessarily in their political context. Topic drift, but possibly of interest. Artist H. D. Tylle, whose “Touring Germany and Working in Wisconsin” is the current visiting exhibit at the Grohmann Museum of the Milwaukee School of Engineering, will be present there for a closing reception from 5 to 9 pm on April 20. The museum (see site) is one of only a few collections concentrating on the art of the manual and industrial arts. There are some marvelous (unintentional) socialist realist sculptures on the roof garden. It’s a few blocks east of the river, not far from the exposition center, and the conference theme complements the collection.